Gen Con event registration goes live this Sunday 5/17. Again this year we will be running Space Hulk at Gen Con. Look for the “Fall of Kagul III” events (NMN1572280 & NMN1572283) on Friday, July 31 at 11:00am and 4:00pm . Everyone had a blast playing this scenario at Adepticon on the 14′ x 4′ two level 3D terrain board and we’re planning a few improvements and tweaks to make it even better. 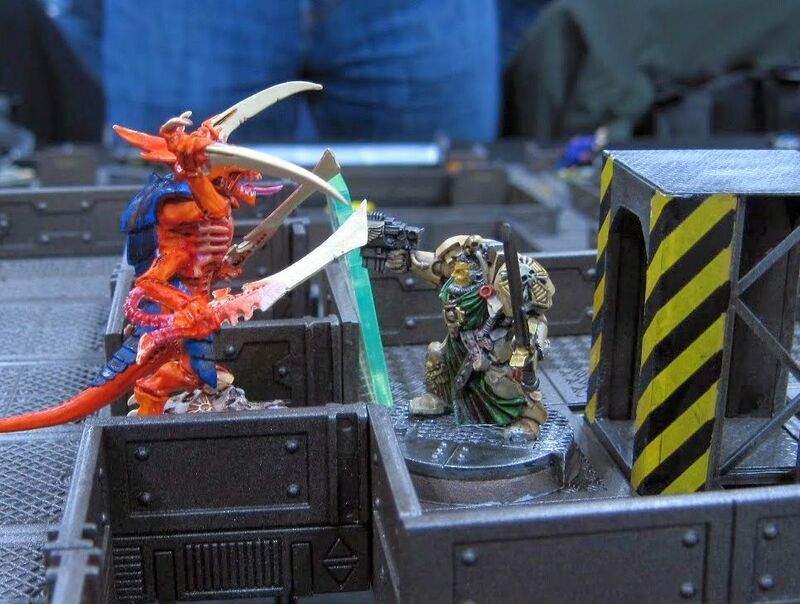 Check out the Space Hulk page for rules and details on the scenario. The terrain is built from the Spaceship X sets from Creative Gamescapes. I have a couple of cases for sale at a significant discount, (~$25 a set). Contact me at info@basementofdeath.com if you are interested. Posted on 05/12/2015, in GenCon, Space Hulk and tagged Gen Con, Gen Con 2015, space hulk. Bookmark the permalink. Leave a comment.